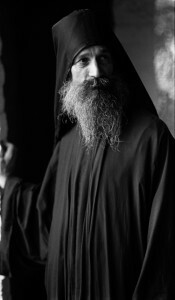 This inspiring and exquisite exhibition of black and white photographs by Arizona photographer David LeRoy Hunsaker details the monastic life of Greek Orthodox monks residing in the Arizona desert. 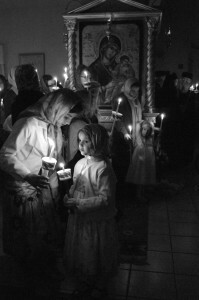 These photographs represent the culmination of thirteen years making artistic, documentary style images at St. Anthony’s Greek Orthodox Monastery near Florence, Arizona. Given exclusive access into this unique enclave of approximately sixty monks which live a communal religious life at the monastery, Hunsaker brings us into their lives through his images. 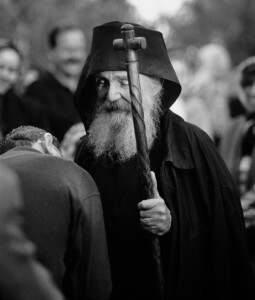 These images created from both film and digital, yield a glimpse into a society of men living a religious existence separate from mainstream society. Prior to acceptance into the monastic order and becoming a Father, the monks must first spend a number of years as novices prepping their commitment and testing their resolve to live the monastic life. 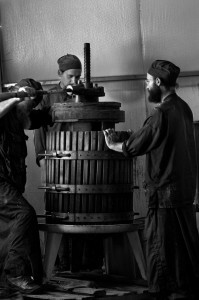 Their daily schedule can often be as long as eighteen to twenty hours filled with prayer, services, and daily toils. The work assignments, given by the Abbott, Geronda Paisios, include daily tasks of growing much of their food to feed the monks and visiting pilgrims. They also do much of the new construction of facilities while maintaining the current structures and grounds. In conjunction with the exhibition, Art Intersection will offer for sale the photobook entitled “St. Anthony’s A Monastic Oasis in the Arizona Desert” which brings a more extensive collection of Hunsaker’s images made during this thirteen year project. 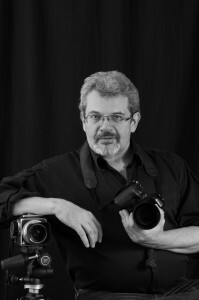 Involved in the photo industry for over forty-three years, David LeRoy Hunsaker has worked in many facets of photography including photo journalism, commercial photography, photo education, and camera store retail. 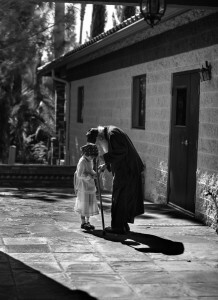 David’s creative passion lies in making black and white images of people in an artistic documentary style. “Capturing the soul of lesser seen cultures in society truly motivates me to make images”.